Botswana is as iconic as it is diverse. A destination that stimulates all senses with iconic views you won't find anywhere else. Our 9-day Botswana safari explores the best on offer. 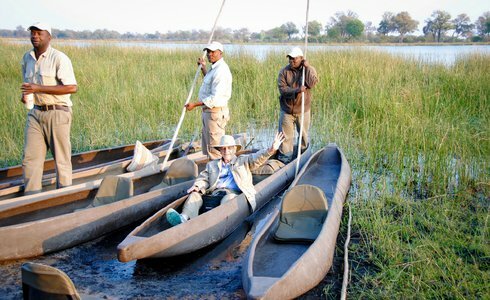 After arriving at Victoria Falls airport, your Botswana adventure commences aboard a majestic Chobe houseboat, featuring well-appointed en-suite cabins, a middle lounge stocked with reference books to ensure you capture the perfect safari moment, and a stellar viewing deck for lazy sundowners. 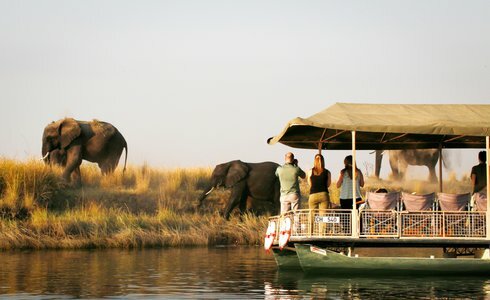 A cruise on a houseboat journeys through both the Zambezi and Chobe, and is the perfect platform from which to witness the Chobe as you will be away from the main areas of the Kasane riverfront. It is also fantastic for photographers, so make sure your camera is loaded and close at hand. Today we fly you to Makgadikgadi Pans for a fully-inclusive stay above the Boteti River that stretches across the western border of the magical Makgadikgadi Pans National Park. Expect to see zebra and wildebeest populations up to 30 000 strong, as well as the predators who hungrily lurk around. With just 12 chalets, Leroo La Tau is our recommended accommodation, as intimate as it is spectacular. 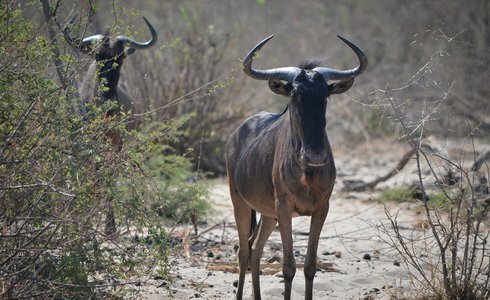 For your last few days head to the Savuti River channel. 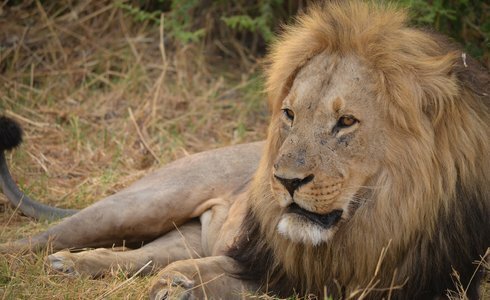 Discover one of the largest concentrations of lions in Africa. What makes the lions of Savuti unique is their ability to hunt adult elephants. A powerful sight of survival. Your days and nights will be spent at the fully-inclusive and celebrated Savute Safari Lodge. The al fresco dining area and swimming pool is a front row seat to a close-by waterhole. To top it all off, nearby ancient San rock paintings are a time capsule into another era. What more could you ask for?